Many people are suffering from nail fungus, but due to a lack of enough information, they are often confused with how to select the best fungus treatment from among the many options available on the market. If you are faced with this predicament of selecting the right fungal treatment, this Nail Fungus Control review aims to equip you with all the necessary information you need to make the right choice. Nail Fungus Control claims to have revolutionized the fight against nail fungus. It combines certified organic homeopathic ingredients that heal fungal infections on finger and toenails. It also claims to heal underlying tissues to protect the new growth of healthy nails. Silicea 6X (Silica) – Responsible for the treatment of nail fungus symptoms. Calendula Officinalis 6X (Marigold) – Promotes healing and the regeneration of healthy skin. 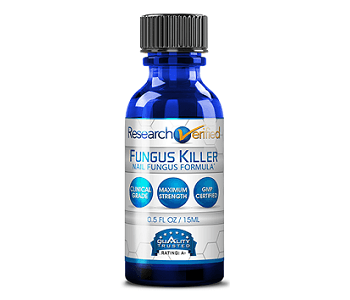 Eugenia Caryophyllata Oil (Clove Oil) – Provides a wide range of supportive effects in fighting against fungus. Pelargonium Graveolens Oil (Rose Geranium Oil) – Acts as a natural astringent. Cymbopogon Citratus Oil (Lemon Grass Oil) – Acts as an anti-Inflammatory agent. Melaleuca Alternifolia Oil (Tea Tree Oil) – Provides natural skin-cleansing benefits. Sesamum Indicum Oil (Sesame Oil) – provides a deep penetrating action. Before applying to the affected area, thoroughly clean and dry the area with clean water. Then apply 1-2 drops and gently rub into the affected area 3 times a day. Remember to always wash hands after use. If you use Nail Fungus Control for 7 days consecutively without realizing any change or your skin symptoms worsen, you should contact your doctor. You should also contact your doctor if you experience any redness, bleeding or pus. Forces of Nature Nail Fungus Control is available for sale from the manufacturer website. It is packaged into either 5ml, 11ml or 33ml bottles. A 5ml bottle of Nail Fungus Control costs $13.95. An 11ml bottle of Nail Fungus Control costs $26.95, and a 33ml bottle of Nail Fungus Control retails at $59.85. You will incur additional shipping and handling charges for every order except for orders above $49 where you will receive free shipping. 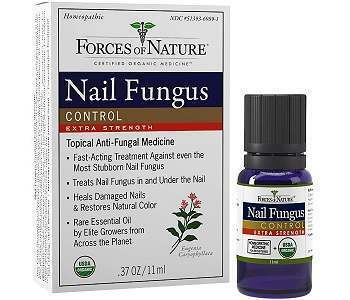 Forces of Nature Nail Fungus Control comes with a full 1-year money back guarantee, indicating a very high level of confidence that their product will deliver the intended results. If for any reason their product does not give you the desired results, all you need to do is simply return the used bottle with the original receipt for a prompt refund. At times they might offer a free upgrade in strength instead of receiving a refund. Despite showing great effectiveness, the product has received few reviews which makes us deduce that this product is not very popular. Nail Fungus Control seems that it could be an effective product in treating fungus on nails based on the ingredients it contains. The aspects that will attract you to using this product are that it’s recommended by both doctors and dermatologists, it does not smell badly, and it is made from 100% natural, organic ingredients. On the other hand, the product might not give uniform results to everyone. Moreover, it seems to take a long time to work. There are also not many reviews provided on the manufacturer’s website, so this may not be a very popular nail fungus treatment.